For nurses, finding the best stethoscope is by far one of the biggest challenges from day one. However, the answer to this all too common dilemma depends on the nurse, his or her patients, and the field or type of practice they’re in. Every nurse needs an accurate and practical stethoscope that meets their needs, but with all of the options out there, choosing the right one can more like a game of Russian roulette than a surefire certainty. That’s where I come in. The result of hour of research and decades of experience, this buying guide features tons of valuable info and unbiased stethoscope reviews on all of today’s best models. So, dive on in and pick yourself out a first-class stethoscope today! 2 What Are The Best Stethoscopes? What Are The Best Stethoscopes? If you’re a nursing student wondering what is a good stethoscope and don’t have very much cash to spend, you can’t go wrong with the incredibly popular and well-made Omron Sprague Rappaport. This nursing school staple is extremely affordable, fairly accurate, and super easy to use, making it the top stethoscope for nurses on a tight budget. Overall Stethoscope – 3M Littman Classic II S.E. While the Omron Sprague takes the cake in the cheap category, the 3M Littman Classic II S.E. Stethoscope with Black-Plated Chest Piece and Ear Tubes is by far one of the best in terms of overall quality. Designed with a unique non-chill rim, latex-free tubing, dual-sided chest piece, tunable diaphragm, and superior acoustic sensitivity, it’s definitely worth paying a little extra for. The Littman Classic II S.E. is a wonderful all-around stethoscope, but if you’re wondering what is the superior stethoscope in terms of absolute quality and sensitivity, look no further than the 3M Littman Master Cardiology Stethoscope. It’s of the highest quality and arguably the most sound-sensitive stethoscope being made today. There’s no stethoscope out there more deserving of kicking off this list and a place around your neck than the 3M Littman Classic II S.E. Stethoscope. With thousands of glowing reviews from doctors, nurses, and EMTs, this top rated stethoscope is without a doubt one of the most recommended models in the world. What makes the Classic II S.E. so great? Well, for starters its high acoustic sensitivity creates ultra-crisp and clean sounds. It also boasts a tunable diaphragm, allowing you to capture both high and low frequency sounds. Like any good stethoscope, the Littman Classic II S.E. is made of latex-free tubing, but this is about all it shares with its often underperforming counterparts. To top it all off, it features a comfortable and unique non-chill rim, dual-sided chest piece, and three different types of earpieces as well. It’s truly designed with comfort and sound quality in mind. Variety of available colors and to choose from. Not ideal for cardiologists and pediatricians. The 3M Littman Classic II S.E. is without a doubt one of if not the best stethoscope for nursing students, nurses, and general practitioners on the market today. With thousands of rave reviews, a reasonable price tag, great sound transmission, and a longstanding reputation for excellence, you can’t go wrong with this classic. The ADC ADSCOPE 615 Platinum Professional Clinician Stethoscope is another all-around excellent stethoscope for all types of nurses and doctors. This affordable yet first-rate stethoscope has an oversized one-sided chest piece CNC-machined of zinc alloy and finished in lovely satin. It also features a traditional diaphragm and bell, headset with reinforced yoke, stainless binaurals, 22-inch PVC tubing, and adjustable frequency technology. All of which combine to create a comfortable stethoscope with wonderful acoustic response. With a lifetime warranty to boot, it just may be one of the greatest stethoscope options available for budget-conscious nurses, students, and general practitioners. Ear pieces could be more comfortable. It doesn’t have thousands of stethoscope reviews like the Littman Classic II S.E., but the ADC ADSCOPE 615 Platinum Professional Clinician Stethoscope is an equally great all-around stethoscope for nurses, doctors, and EMTs alike. 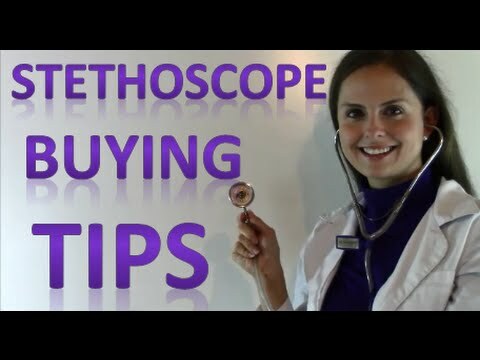 It’s also a great value, so if you’re here in search of the stethoscope for nurses but don’t want to break the bank, this inexpensive gem of a scope has your name all over it. Nurses certainly need a good quality stethoscope. However, some feel they need more than a high quality stethoscope. In fact, some want the absolute best. If you’re such a person, the 3M Littman Master Cardiology Stethoscope is definitely for you. Regarded by doctors as arguably the superior stethoscope ever sold, the Littman Master Cardiology provides unparalleled acoustic sensitivity with sounds coming in louder and clearer than with any other scope. Responsible for this superb performance is the stethoscope’s features and quality design. With dual tunable diaphragms, precision-crafted stainless steel chest piece, dual-lumen tubing, super soft ear tips, and craftsmanship second to none, it’s a beauty of a stethoscope any medical professional would be proud to own. More expensive and primarily designed for cardiologists. If you’re just starting out and looking for the top stethoscope for nursing student, the Littman Master Cardiology probably isn’t for you. However, if you’re a seasoned nurse in search of the best of the best, this premium scope will become your new best friend. Like the Master Cardiology, the Littman Cardiology III Stethoscope is considered by many as the top stethoscope around. Tried, tested, and loved by thousands, this premium scope has garnered a popular following and thousands of overwhelmingly positive stethoscope reviews, making it one of the most popular and best received models on the market today. Like any good stethoscope, its popularity is a direct result of its reliability and performance. With dual tunable diaphragms, convertible dual-sided chest piece with non-chill bell, dual-lumen tubing, and an ergonomic anatomical design, it’s made for doctors and nurses who require versatility and fantastic acoustic performance. Many consider the Sprague Rappaport the top stethoscope for nurses due to its affordability and decent performance. However, if you take your stethoscopes seriously and don’t mind ponying up for a superior option, the Littman Cardiology III Stethoscope is an obvious choice. While more than the Sprague Rappaport, it cost less than the Master Cardiology and provides similar performance. “What is the best stethoscope for nursing students?” This is a question I’m often asked, and if forced to select one, the ADC ADSCOPE 603 Clinician Stethoscope definitely gets the vote. Similar to the ADSCOPE 615 but costing even less, the 603 features adjustable frequency technology, dual-sided surgical stainless steel chest piece, ultra-sensitive chill-free diaphragm, stainless steel binaurals, and 22-inch PVC tubing. The end result is a durable, well-made stethoscope with good sound quality and an even better price. It’s not the best nursing stethoscope ever made, but the ADC ADSCOPE 603 is more than serviceable and deserves its fair share of four and five star stethoscope ratings. With a thoughtful design, low price tag, and reputation for reliable performance, this inexpensive ADC is without a doubt one of the top stethoscopes for nursing students being made today. MDF has been handcrafting outstanding affordable stethoscopes for nearly 50 years, and the brand’s MD One Stainless Steel Premium Dual-Head Stethoscope is no exception. Made of acoustically superior surgical stainless steel and dense latex-free PVC tubing, the quality of the MDF is without question. Despite its low price, it delivers surprisingly accurate auscultation of pulmonary, heart, and gastrointestinal sounds with sharp clarity and acoustic integrity. With thoughtful features and design details like MDF’s patented Acoustic Pyramid Chamber and fully-rotating acoustic valve stem as well, it’s arguably the best stethoscope for nurses and one of the best deals out there. May be difficult to pick up slight murmurs and bruits. The MDF MD One Stainless Steel Premium Dual-Head Stethoscope is well-made of the best materials, designed to perform, and continues to rack up more and more great stethoscope reviews from loyal fans. It’s difficult to find stethoscopes with as much quality and attention to detail for such a reasonable price, making this MDF stethoscope options for today’s nurses and nursing students. The Omron Sprague Rappaport is inexpensively priced, incredibly popular, and one of the top stethoscope for nurses just starting out or still in school. The 5-in-1 multi-purpose stethoscope features a chrome-plated chest piece, latex-free tubing, two diaphragm sizes, and not one but two pairs of ear tips, making it one of the most versatile and value-packed stethoscopes your hard-earned money can buy. Extremely popular, especially amongst students. Doesn’t pick up sounds as well as more expensive stethoscopes. It’s certainly not the top stethoscope on the market, but the Omron Sprague Rappaport is extremely versatile, has decent sound quality, and costs less than a solo trip to the theatre for a bucket of popcorn and a matinee. All of these factors make it one of the top rated stethoscopes for budget-conscious nurses in need of a simple scope that just plain works. What is the top stethoscope for a nursing student? Is it one with unbelievable accuracy? How about one with thousands of stethoscope reviews? For many cash-strapped students, the answer is the LotFancy Manual Blood Pressure Cuff, Aneroid Sphygmomanometer & Stethoscope Kit. Costing less than the majority of stethoscopes out there, this complete kit equips you with not one but three nursing essentials, allowing you to check multiple boxes off of your shopping list. Although the kit’s single-head Sprague stethoscope isn’t the best, it’s versatile, easy to use, and performs surprisingly well, making it an ideal option for nursing students in dire need of a great deal. The stethoscopes for nurses typically cost a pretty sum, but that’s not always the case. This value- packed kit from LotFancy provides you with a decent scope for learning and general diagnostics, plus a manual blood pressure cuff and aneroid sphygmomanometer as well. For under $20, you couldn’t ask for more! Sound quality and stethoscopes go hand in hand, and the Passionate Care Premium Stethoscope guarantees it is the best sounding stethoscope on the market. If you disagree, you get your money back. With such bold assertions and more than its fair share of glowing stethoscope reviews, it just has to be on this list! While Passionate Care scopes often gets overlooked by Littmans, Omrons, and ADCs, this premium stethoscope from certainly deserves some praise. In addition to looking great, feeling even better, and weighing half as much as other great stethoscopes, it allows you to hear everything, and I mean everything, super clear. If you’re idea of the top stethoscope is one that weighs and costs half as much as its next nearest competitor yet performs just as well if not better, the Passionate Care Premium Stethoscope was made with you in mind. It’s every bit as good as the folks at Passionate Care claim it to be, and in many opinions it’s a great stethoscope for nurses on the market today. The best nurse stethoscope doesn’t have to follow tradition. The Nurse Mates TimeScope Stethoscope is a fine example of this. Unlike other stethoscopes, the innovative TimeScope features a uniquely awesome and easy-to-read liquid crystal timepiece on its bell. It also features latex-free, 22-inch Y tubing, color-coordinated ear tips, chrome-plated brass binaurals, and a one-year warranty as well. You won’t find the Nurse Mates TimeScope mentioned in many stethoscope reviews for nurses, but with such quality, outstanding features, and a reasonable price, it’s the perfect stethoscope to round out this list. Not the most durable stethoscope out there. Uniqueness and practicality rarely go hand in hand, but they do exactly that with the Nurse Mates TimeScope Stethoscope. Designed with a wonderful timepiece on the center of its bell, it’s by far the top stethoscope for nurses who hate wearing watches. When reading stethoscope reviews and shopping for the superior stethoscope for nurses, you should know there are different types of stethoscopes for different needs. To help you find the stethoscope for you, let’s break them down into categories and have a look at all of the various types of stethoscopes for sale today. Stethoscopes with a single chest piece, also known as single-head stethoscopes, are well-known for their sound clarity and wide frequency output. As such, they’re commonly used by cardiologists for making heart sound assessments. If you’re interested in the best cardiology stethoscope, check out the RA Bock Single Head Cardiology Stethoscope with Pressure Sensitive Diaphragm. It’s without a doubt one of the best around. Often called dual-head stethoscopes, double chest piece stethoscopes are the most versatile as they’re comprised of a diaphragm and a bell for hearing both high and low frequency sounds. There are plenty of excellent double chest piece stethoscopes, but the MDF MD One Stainless Steel Premium Dual Head Stethoscope is easily one of the best. It delivers extremely clear and accurate lung, heart, and Korotkoff sounds. Triple-head or triple chest piece stethoscopes are designed to clearly hear and assess the sounds of the heart. While this makes them heavier and more expensive than most of their counterparts, they can be critical for accurate cardiac assessments. Considered by some as the best cardiac stethoscope on the market, the Welch Allyn 5079-322 Harvey DLX Stethoscope is a perfect example of a quality triple chest piece stethoscope. When determining which stethoscope is best for nurses, it’s easy to overlook cardiology stethoscopes and assume they are strictly for cardiac specialists. While designed specifically with cardiac assessments in mind, they also provide the very best clarity and acoustics, making them nurses’ favorites. If you’re on the hunt for a great cardiology stethoscope, the 3M Littman Master Cardiology Stethoscope is widely considered one of the best. Pediatric stethoscopes, such as the industry-leading 3M Littman Classic II Pediatric Stethoscope, feature smaller chest pieces than adult stethoscopes and contoured diaphragms made specifically for smaller bodies. There are quite a few pediatric stethoscopes available to choose from these days, but if you want the best pediatric stethoscope for your little patients, the Littman above won’t let you down. The best type of stethoscope for a pediatrician isn’t the best type of stethoscope for a veterinarian. Veterinary stethoscopes are specifically designed to help vets accurately hear the inner workings of horses, dogs, and all of our four-legged friends. When it comes to veterinary stethoscopes, the Littman Veterinary Master Classic is one of the best. Respiratory therapists need the top stethoscopes there are. Therefore, many choose cardiology stethoscopes for their sound clarity, excellent acoustics, and overall accuracy. Although it’s not designed specifically for respiratory therapists, the 3M Littman Master Cardiology is in many eyes the best stethoscope for respiratory therapists in the business. Adult stethoscopes have larger chest pieces and longer tubes designed for full-size patients. While there are dozens of high-quality adult stethoscopes out there to choose from, the exceptional performance and high acoustic sensitivity of the 3M Littman Classic III Stethoscope make it one of my favorites and a popular option. Similar to pediatric stethoscopes, infant stethoscopes have very small heads or chest pieces for the tiny patients they’re used on. In fact, the bell part of the head on an infant stethoscope is usually under an inch in diameter. If you’re looking for a great infant scope, the 3M Littman Classic II Infant Stethoscope won’t let you down. It features a small, lightweight head and is specifically contoured for easy use on babies and newborns. Fetal stethoscopes are specially designed to allow nurses and physicians to hear the heartbeats of fetuses in their mothers’ womb. The fetal stethoscope from HealthMegaMall is an excellent example of such a scope and utilizes a simple design still used by doctors and nurses to this day. Arguably the stethoscope for blood pressure and general exams, the all-in-one Sprague Rappaport is the Ford F-150 of stethoscopes. It features dual chest piece tubes that connect separately to the chest piece, resulting in better sound quality for patients of all sizes. Although there are a number of more than worthy Sprague Rappaport stethoscopes, the MDF Sprague Rappaport Dual-Head Stethoscope has the perfect balance of quality and performance to be one of the best. Amplified stethoscopes are terrific tools for nurses that need enhanced sound amplification as they’re able to amplify sounds and block out ambient noise. With adjustable frequency design technology, a surgical stainless steel chest piece, black anodized aluminum binaurals, and many other advanced design details, the ADC ADSCOPE 600 Cardiology Stethoscope with AFD Technology is one of the best in this category. Need modern convenience and maximum sound amplification? Then a quality electronic stethoscope, such as the 3M Littman 3100 NBlue Med Stethoscope, is exactly what you need. Designed to run on batteries, significantly amplify sounds, reduce ambient noise, and provide a number of unique features like data recording and Bluetooth sound transmission, electronic stethoscopes are becoming more and more popular each day. Owned by 3M, a Minnesota company founded in 1902, Littman is recognized around the world as one of the top stethoscope brands. The industry leader has thousands upon thousands of overwhelmingly positive stethoscope reviews and provides a varied selection of the top stethoscopes on the market today. MDF Instruments is a Los Angeles-based company that has been crafting high-quality stethoscopes since 1971. As one of today’s best stethoscope brands, MDF is committed to quality and innovation. If you’re shopping for the stethoscope for nurses, you can count on MDF to deliver an excellent scope with first-class performance and durability. There are quite a few good stethoscope brands, but like the brands above, American Diagnostic Corporation stands out as one of the best. Commonly known by its acronym ADC, the brand has been one of the best manufacturers of medical diagnostic tools for more than 25 years. In addition to quality stethoscopes, the New York-based company is also known for making terrific blood pressure instruments as well. One of the best stethoscope brand. Like Littman, Welch Allyn was founded over a century ago and remains arguably the best brand of stethoscope to this day. Also headquartered in New York, Welch Allyn employs nearly 3,000 people and manufactures some of the very best medical diagnostic devices in the world. If you’re tired of being disappointed by cheap models and only want the very best, Welch Allyn won’t let you down. Committed to innovation, UltraScope makes unique, pressure-sensitive stethoscopes for the accurate and complete diagnosis of heart and pulmonary sounds. In addition to providing some of the most innovative stethoscopes on the market, UltraScope stethoscopes can be customized with engravings, custom paint designs, printed logos, and more. The Littman Pediatric Stethoscope is considered by pediatricians around the world as one of the stethoscope options around for clearly, accurately, and comfortably hearing the heart, lung, and gastrointestinal sounds of little ones. Featuring a stainless steel dual-head chest piece optimized for pediatric auscultation, one-inch bell and diaphragm, Snap Tight Soft-Sealing Ear Tips, durable latex-free tubing, and more, pediatric stethoscopes don’t get much better than this Littman. Infants are dear to all of our hearts and deserve the highest quality infant stethoscope available. They deserve the Littman Infant Stethoscope. This gem of a scope is perfectly sized for infants and features a stainless steel chest piece with a 3/4-inch bell and small diaphragm designed for the accurate auscultation of their infant bodies. With Snap Tight Soft-Sealing Ear Tips, a non-chill rim, reinforced crack-resistant yoke, and other quality design details, it’s quite simply the best Littman stethoscope for nurses in neonatal and infant care. Perhaps the best Littman stethoscope for nursing students, the Littman Lightweight Stethoscope is an ideal entry-level diagnostic tool and a true workhorse that provides reliable acoustic performance. The Littman Lightweight features a dual-sided stainless steel chest piece with a traditional bell on one side and tunable diaphragm on the other. Combined with craftsmanship that is second to none, it’s one of the best starter stethoscopes available. The Littman Master Classic lives up to its name by providing unparalleled auscultation. With a pressure sensitive chest piece that lets you monitor both high and low-frequency sounds as well as a durable, award-winning ergonomic design, it’s easy to see why this Littman model is one of the most popular stethoscopes on the market today. If you’re wondering which Littmann stethoscope is best for nurses, you can’t go wrong with the Master Classic. The Littman Cardiology IV is made for doctors and nurses who demand nothing but the best of the best. This first-class stethoscope features a tunable diaphragm for listening to different frequencies and dual-lumen tubing for acoustics that are nothing short of amazing. With tons of glowing Littman Stethoscope reviews from dedicated doctors and nurses just like you, the Littman Cardiology IV is a great stethoscope any way you slice it. The Littmans above are all superb, but if you’re wondering what is the best stethoscope for nurses hands down, the top-of-the-line Littman Master Cardiology may take the cake. It features a patented single-head chest piece with tunable diaphragm, non-chill latex rim, Snap Tight Soft-Sealing Ear Tips, and a comfortable lightweight design to provide you with one of the best auscultation instruments being made today. The material used for the making of a stethoscope should be your very first consideration. Some stethoscopes are made out of plastic, bronze, and other cheap materials. Others, on the other hand, are constructed of quality materials like stainless steel latex-free PVC tubing. Needless to say, if you’re shopping for the stethoscope, you should definitely choose the latter. Ear buds, or ear tips, can be soft, hard, or gel-styled. While each of these has their own pros and cons, silicone or gel ear buds are usually the most comfortable. That being said, almost all quality stethoscopes are designed to allow you to interchange the ear buds according to your own personal preferences. The length and thickness of the tubes of a stethoscope can make it or break it. Tubes that are too thick or thin will make it difficult to accurately perform auscultation exams and diagnoses. Tube length is also important. In most cases, the longer the tube of a stethoscope, the more comfortable it is to use. Another key factor to consider when deciding on the top stethoscope for nurses is its ability to withstand everyday wear and tear. A great stethoscope is an investment that should serve you well for years not months. Therefore, it’s important to choose a well-crafted model constructed of quality, durable materials. Generally, heavier stethoscopes have better acoustics and sound quality. However, they can also be a real drag to wear around your neck for hours on end. The key is to find one that provides the best compromise between comfort and performance. Stethoscopes have either single or dual-sided chest pieces and feature a bell or diaphragm on one side, a bell and diaphragm on both sides, or a two-sided diaphragm. Bells are used to hear additional sound frequencies that you can’t hear with a diaphragm. The best option for you simply depends on the types of exams and assessments you perform. In addition to traditional manual stethoscopes, electronic models are now widely available. While they’re easier to use and provide additional features not found on standard stethoscopes, electronic scopes are more expensive and rely on electronic components. So, make sure to choose a model with the best components possible if you go this route. Accessories like carrying cases, chest piece covers, and so on won’t make or break your purchase, but they can be nice to have and should be something to think about when deciding on the superior stethoscope for you. Brands like Littman, ADC, Welch Allyn, Omron, and MDF have long histories of excellence and solid reputations for making some of the best stethoscopes on the market. Sure, there are a few good scopes made by less known brands, but you can’t go wrong with any of the best stethoscope brands above. You can spend as little as $30 or as much as $300 on a good stethoscope. If you can afford to pay for a higher quality scope, then by all means feel free. However, as you can see from the stethoscope reviews above, there’s a wide-variety of great stethoscopes out there in an array of price ranges, so there’s no need to overspend. Congratulations! After completing this stethoscopes crash course you now know all you need to know in order to choose the stethoscope for you. Stethoscopes may seem like simple instruments and all look alike, but the differences between them can be staggering for the average nurse. However, you’ve made it to the bottom of this page, so you’re no average nurse. From stainless steel single-head stethoscopes with only a bell to brass and chrome-plated dual-sided models with both bells and diaphragms, you now know all of the options out there. In fact, you probably already have a pretty good idea of which one is right for you. Whether you’re looking for the best cheap stethoscope on the market or the best cardiology stethoscope ever made, the model for you is only a few scrolls up. All you have to do is pick one out. So, stop stalling, click the buy button on a fantastic stethoscope, and begin enjoying years of perfect sound quality starting today! Choose only the best stethoscope for nurse!